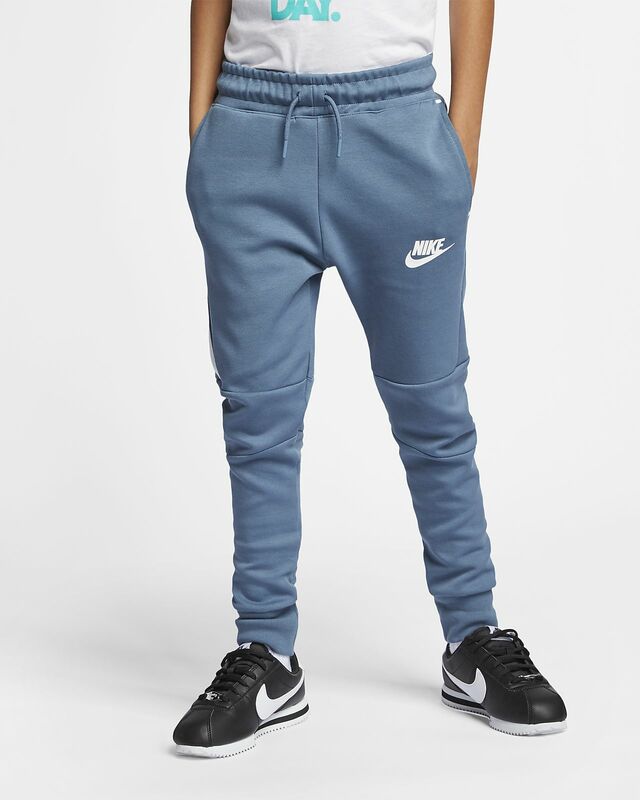 With its classic jogger look and amazing feel, Boys' Nike Sportswear Tech Fleece Pant goes all in for modern comfort. It fits slim to reduce bulk, while its bonded zippered pocket is the centerpiece of Nike Tech Fleece style. 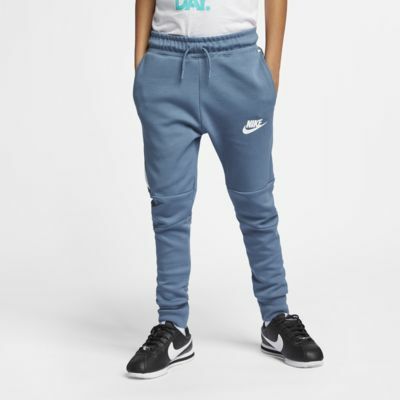 With its classic jogger look and amazing feel, Boys&apos; Nike Sportswear Tech Fleece Pant goes all in for modern comfort. It fits slim to reduce bulk, while its bonded zippered pocket is the centerpiece of Nike Tech Fleece style. Nike Tech Fleece fabric is soft, warm and light. Inseam gusset allows a full range of motion. Vertical zippered pocket is bonded for an iconic look. Stretch waistband with drawcord for a secure, personalized fit. Inseam gusset allows for full range of motion. Stretch ribbing at the cuffs snugs the fit to help hold in warmth.